Thanks to my father John Kenneth Edstrom who did two tours of duty in Vietnam as an officer in the Air Force. My father is also in the very unique category in that he was awarded TWO BRONZE STARS for the two tours of duty for his countless acts of bravery in his two years in Vietnam. The Bronze Star Medal is a United States Armed Forces military decoration that may be awarded for bravery, acts of merit, or meritorious service. Thanks to my cousin Chris Edstrom who has done two tours of duty in Iraq and three in Afghanistan and who is doing work back to both countries now as a contractor. Thanks to Dr. Harry Foxwell, Brad Kirley, Bruce Adams and Paul Warndorf for their service to our country. Harry Foxwell always would send out a nice email to Sun employees (and I imagine others). Two years ago, he asked the question: Do you know where your veterans are? These are the blog posts that I find great difficulty in writing. I found out yesterday that Ken Walker had passed away on December 20th. Ken was always a true professional and a great man. I knew Ken because he was the contractor for MEMEX who led the development of the first version MERLIN - MEMEX's shop floor monitoring software, where I was the CTO responsible for software and hardware development. Without Ken, there would not have been a version of MERLIN. I heard countless stories of Ken putting in many long, long hours to get MEMEX software products out the door. When I started working with Ken in 2014, I was blessed to have such a dedicated and talented software developer. We had daily update calls and Ken would usually be the one to make all of us laugh. Ken was up for any challenge, but was always able to do it with a sense of humor. My fondest memories of Ken are when I would drive out to his house in Woodstock, Ontario where we would go to one of his favorite restaurants and just sit and talk. Yes, we would discuss work, but we would usually discuss life. What truly amazed me about Ken was his ability to keep working under the most trying of conditions, and Ken never complained. When I saw the post by Wally Cassell of MEMEX on the guest book for Ken, that Wally and Jeremy Roy of MEMEX visited Ken in the past few weeks and shared some stories, as well as some laughs that warmed my heart because I am sure Ken greatly appreciated their visit. My thoughts and prayers are with Ken's wife Maureen and his entire family, relatives and friends. God bless you Ken - you were the ultimate class act and you will be terribly missed by of all of those who you touched. So, what did Dr. Winslow say that caused John McCain to interrupt him? As stated in his op-ed: "Then, I blurted out what was in my heart: “I’d also like to . . . just say how insane it is that in the United States of America a civilian can go out and buy a semiautomatic weapon like an AR-15.” Sen. John McCain (R-Ariz.) interrupted, warning this was not in my “area of responsibility or expertise.” Soon after, my confirmation was put on hold." "I am a marksman, rated expert in both the M-9 pistol and the M-16 rifle (the fully automatic military version of the AR-15). During one of my tours in Iraq, I spent hours with my Special Operations forces colleagues who were training Iraqi teams on our base, firing an array of military weapons. Using a powerful gun at a firing range is a real blast, and I support civilians experiencing that thrill at licensed ranges. However, as commander of an Air Force hospital in Baghdad during the surge, I have seen what these weapons do to human beings. The injuries are devastating. In addition, because of their high muzzle velocities, assault weapons are challenging for untrained civilians to control and are not optimal for home defense. A pump-action 12-gauge shotgun, with its excellent stopping power, would be far better. Even with imperfect aim, a shotgun will hit its target, while the pellets won’t go through a wall to endanger someone in the next room. Assault rifles are also poor hunting weapons due to low accuracy beyond 100 yards." "But with a standard 30-round magazine, assault rifles are perfect for mass murder. From 1995 to 2004, assault weapons were severely restricted in the United States. During that time, mass shootings were far less frequent — 1.6 compared with 4.2 per yearafter the ban lapsed in 2005. The experience in Australia is even more dramatic: No mass shootings have occurred there since assault weapons were outlawed in 1996. Assault weapons in the United States are not being used to kill “bad guys” in self-defense or to provide for a “well-regulated militia” but for entertainment, mass murder and domestic terrorism. Is this really the intent of the Second Amendment?" I have relatives who love to hunt and I am perfectly fine with that. NONE of them hunt with a anything more than a shotgun or a rifle. I have been meaning to blog about this for a number of weeks now. "MTConnect-B2MML is a companion specification to ensure interoperability and consistency between MTConnect specifications and the B2MML implementation of ISA95, as well as the manufacturing technology equipment, devices, software or other products that implement those standards. Additional documentation for implementing B2MML with MTConnect is available on the MTConnect User Portal wiki at www.mtcup.org/wiki/B2MML. " Define the interaction between existing standards from each organization to provide a platform for improved manufacturing technology interoperability. Provide a forum for the exchange of information to support future continuous improvement of standards and specifications overseen by each body. Provide a mechanism for the exchange of insights, identification of overlaps, and harmonization of the works of both organizations; where appropriate. Provide a roadmap for implementers to leverage the capabilities of the standards and specifications of both bodies. "But of course, airport security these days is all about a pecking order. There’s regular security and there’s the faster “TSA Pre” line. Then at many airports, if you pay extra there’s a “Clear” line, a “priority” line for pilots and first-class passengers, and even a super-fast celebrity line that comes with organic seaweed snacks (really). Without the neutrality rules, Internet providers could set up their own fast lanes—meaning certain websites could buy first-class treatment, while others are stuck in cattle class. Providers could sell Internet service in packages, like cable-TV bundles. Service providers would also have the right to set up their own no-fly lists, blocking certain websites that they don’t like or compete with their own business. For you, certain websites could slow to a crawl. Or perhaps they wouldn’t show up at all." If I had to summarize why I loved working at Sun Microsystems so much, it would be the brilliant people I was able to meet, work with and we became friends. Susan Landau was a Distinguished Engineer at Sun. She is an Association for Computing Machinery Fellow, a Cybersecurity Hall of Fame inductee and an American Association for the Advancement of Science Fellow. Susan is a globally recognized expert in security. I had the pleasure of meeting Susan while we were both at Sun. We had a number of very interesting conversations while we were at Sun, as well a number of conversations since Sun was purchased. The conversations we had and have were always enlightening, interesting and very educational for me. Susan wrote a book titled Listening In - Cybersecurity in an Insecure Age and sent me a signed copy. This is an excellent book and a must read whether or not you are a geek like me, a policy maker, someone who has an interest in security or just your average citizen. Susan's book is extremely well written and well researched. She is able to educate the reader on Cybersecurity in a clear and compelling fashion. You do not need a mathematical, computer science or technical background to learn a ton from this book. My hope would be Susan's book would be embraced by policy makers and citizens around the globe as she does an excellent job explaining the proper role and balance of government in providing national security and law enforcement through numerous real life examples. When I first got the book and looked at the back cover and saw recommendations from Vint Cert, Jonathan Ziltrain, Matt Olsen (former Director NCTC) and Juliette Kayyem (former Assistant Secretary for Homeland Security), I knew this just moved to the top of my reading queue! Susan did reach out to me to discuss security in the area of manufacturing. We had a few phone conversations and email discussions. I was thrilled to see that Susan referenced an article I wrote for Advanced Manufacturing titled, With Machine Monitoring, Instant ROI is Possible and my book, MTConnect: To Measure Is To Know. Thanks Susan! Bottom line is that this a GREAT book and a MUST read for everyone. Thanks to Car and Driver for putting this togther. An interesting read for you Corvette fans out there. There are two items that are a must in the Edstrom family every Christmas - one is outside and the other is inside. Outside it is THE Deer of Ashburn and inside it is Tim's Gingerbread Man. 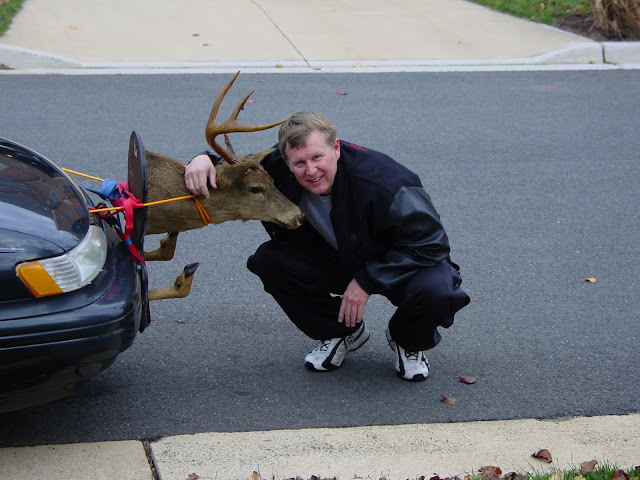 Below was the first rev of THE Deer when I found it in my neighbor Rick's trash. I did not ask for permission to take it (Rick later said I am always welcome to take anything in his trash :-) and quickly mounted it on my son John's Taurus (the famous Sun Microsystems $1 million Ford Taurus) John was not amused and ordered it off before he drove it to high school that morning. Now I needed to find a purpose for the deer and then it hit me, the ultimate Christmas Rudolph The Red Nose Reindeer of Ashburn! 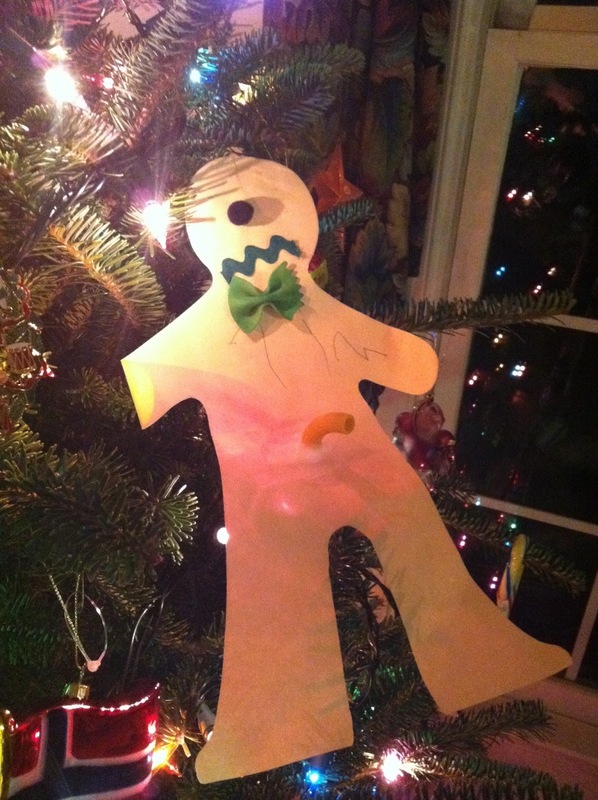 The inside ornament that is a must is Tim's Gingerbread Man. This always goes in the most visible space on our Christmas tree every year. This blog post is a culmination of years answering questions on MTConnect that I will keep updated as it is easier to just point individuals to one blog site I have as opposed to multiple blog posts or a very large email with all of these FAQs, Presentations, Webinars, Websites and ALL Things MTConnect. A lot of this earlier work was when I was President and Chairman of the Board MTConnect Institute.